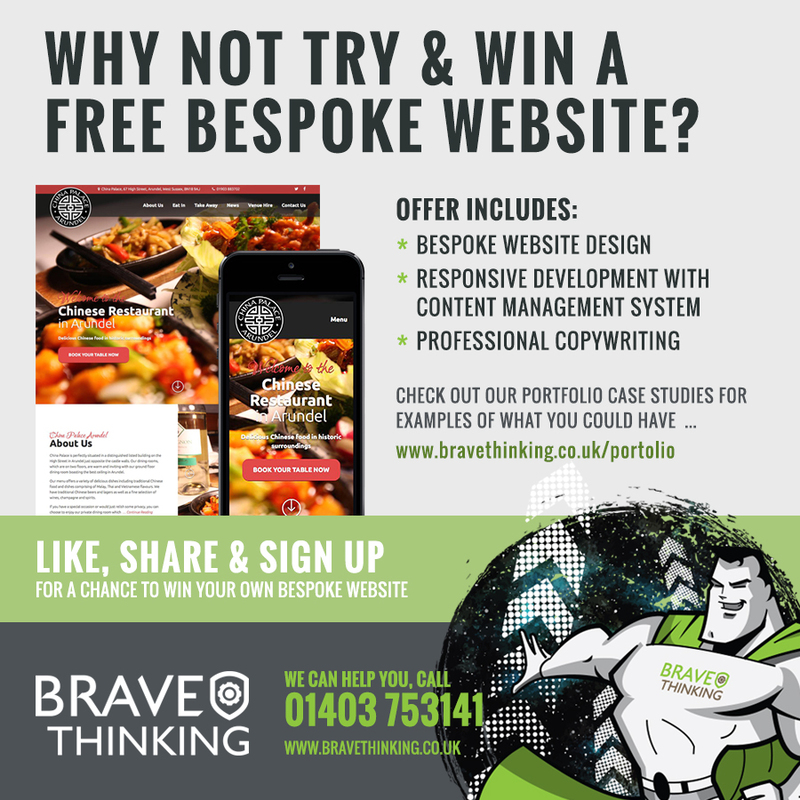 Why not try & win a bespoke website? 1) Your website is awesome. You can see from the analytics that traffic is good and you're getting lots of new visitors. 2) You're receiving regular enquiries from people who love what you're about and want some of it. 3) Your website ranks well on search engines; well if it ain't broke, don't try and fix it. 4) You've just spent a small fortune having your website built with the launch only days away. Are you thinking 'none of these apply to me?' Well you know what you've got to do, get your name down. Quick. Best of luck it could be you! If you fear change, do NOT enter! Call us now on 01403 753141 for a Free consultation.